Yeah I guess I am a little frustrated at the lack of integrity some people have by posting what seems like utter b.s. on other peoples content… hmmm…. 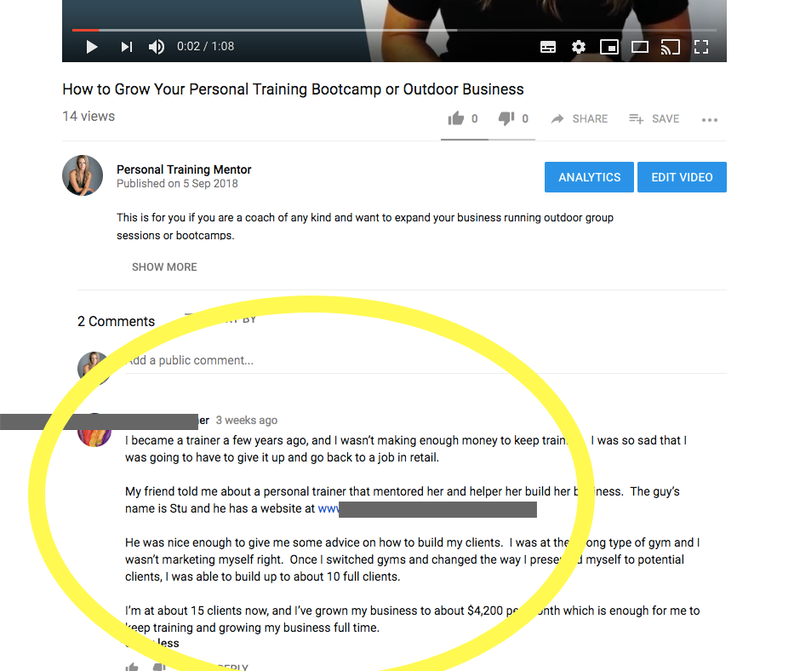 But in all seriousness I don’t think lying is needed, especially when it comes down to the fact that this guy, and many others like it are actually trying to attract clients to teach them how to do business. EVEN IF you are trying to be more time efficient and spread your message by getting others to help you. I’m sure there are ways to still do it ethically…. anyway I believe it’s something to ponder. In the meantime here’s the little rant below that I did on the subject. I thought while I was at it I should also suggest some other ways we can do business instead, and why it’s important NOT to treat our clients as ‘stupid’ like I got the impression, was actually happening here. Would you like to know how you can actually increase your revenue ethically? Well… if you’d like to see what the potential is for YOU to ETHICALLY grow your business, without needing 100 new clients or spending more hours online or away from loved ones, hit me up for a chat here.